I recently installed Powershell Core om Ubuntu 18.04, and after installing the PowerCLI module. I ran into an error. The error is not an uncommon one, but on Windows the error message makes a lot more sense, so I just wanted to let you know what this error actually means. Connect-VIServer : 9/27/18 10:41:37 AM	Connect-VIServer		The SSL connection could not be established, see inner exception. This actually means that you do not have a valid certificate. And if you want to connect to vCenter without a valid certificate, you have to allow this. You can either change you vCenter certificate to a trusted one, which is the correct solutions or you can ignore invalid certificates, which circumvents all security, but makes it work right now. Please comment if this was helpful. 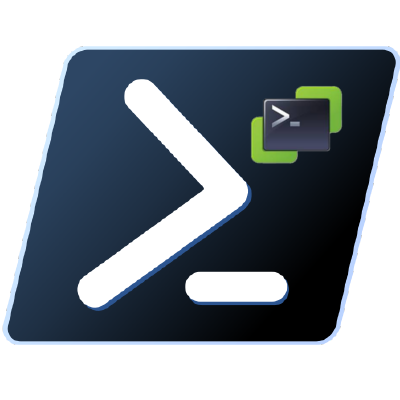 Roman Decker wrote an article about how to move virtual machine between vCenters that are not part of the same SSO domain, using PowerCLI. 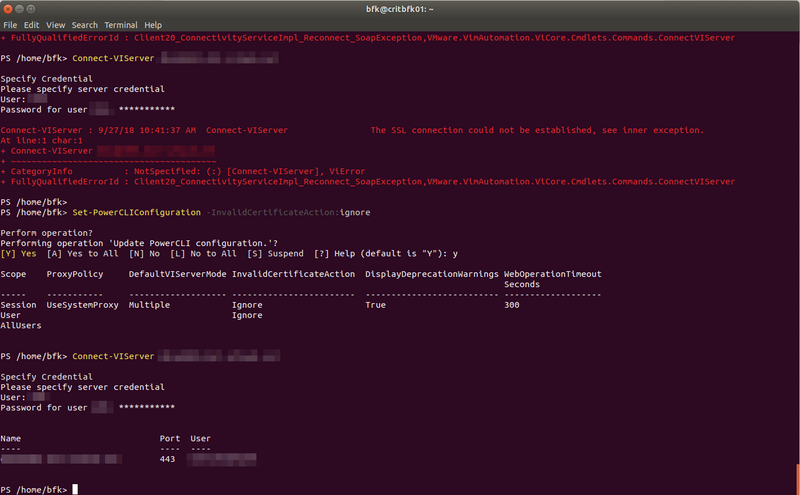 If you need to search your vSphere Datastores for orphaned VMDK files, Luc Dekens made a script that can help you. Another possibility is to use rvTools.